BAFTA’s new exhibition is dedicated to the work and achievements of over 90 women from BAFTA’s history and that of film, games and television in Britain. For our forthcoming Public Open Weekend we have curated a programme of screenings inspired by the exhibition and the women’s stories in this year’s BAFTA-nominated films. Saturday 14 April & Sunday 15 April - First Entry 13.00 - No booking required for members to view the exhibition. Discover some of the pioneering women that have defined BAFTA and the art forms of the moving image through the decades, with previously un-exhibited photography alongside video footage from BAFTA’s archive. All film tickets include entry to the exhibition, alternatively you can book exhibition-only tickets here. Francis McDormand’s blistering portrayal of Mildred Hayes earned her the Best Actress accolade at this year’s BAFTAs. 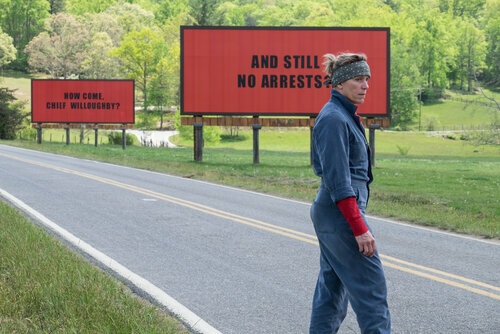 Winner of Best Film, Three Billboards Outside Ebbing, Missouri is written and directed by Martin McDonagh and also starring BAFTA-winner Sam Rockwell. Tickets - £12 including a complimentary post-screening glass of Taittinger champagne. The winner of Outstanding Debut at this year’s BAFTAs, Rungano Nyoni’s highly original magical realist drama follows nine-year-old Shula as she is accused of witchcraft. Set in a remote Zambian village, misfit Shula is exiled to a ‘witch camp’ by superstitious neighbours and crooked bureaucrats. At the camp she is given a tough choice: to accept her new life as a witch and live tethered to a tree, or to cut her ties with local tradition and be transformed into a goat. Part feminist allegory, part satirical parable, this is a thrilling first feature. 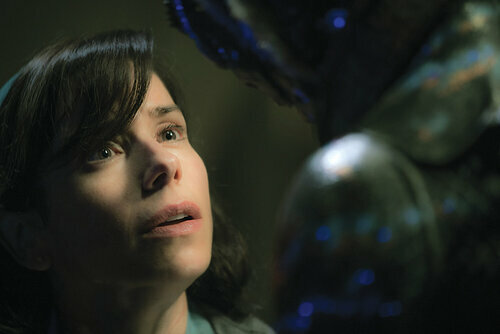 Sally Hawkins earned a BAFTA nomination for her vulnerable portrayal of Elisa, a mute woman employed as a cleaner in a military research facility in Baltimore. Elisa lives an isolated life working in a high-security government laboratory in 1962 Baltimore. Everything changes with the discovery the lab's classified secret -- a mysterious, scaled creature from South America that lives in a water tank. As Elisa develops a unique bond with the creature, she soon learns that its fate and very survival lies in the hands of a hostile government agent and a marine biologist. Winner of Best Director for Guillermo del Toro and also starring BAFTA-nominee Octavia Spencer and Michael Shannon. Greta Gerwig’s directorial debut earned her a Best Original Screenplay nomination, revealing her to be an exciting new cinematic voice. It also garnered nominations for Saoirse Ronan and Laurie Metcalf for their depiction of the turbulent bond between a mother and her teenage daughter. 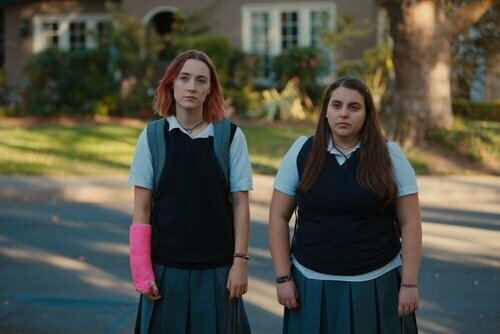 Christine 'Lady Bird' McPherson (Saoirse Ronan) fights against but is exactly like her deeply opinionated and strong-willed mother (Laurie Metcalf), a nurse working tirelessly to keep her family afloat. Set in Sacramento in 2002, amidst a rapidly shifting American economic landscape, Lady Bird is an affecting coming of age story examining the relationships that shape us, the beliefs that define us, and the unmatched beauty of a place called home. 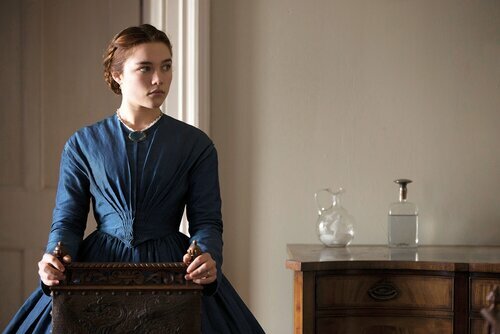 Alice Birch’s adaption of Nikolai Leskov’s novel has a fierce central performance from Florence Pugh in William Oldroyd’s heady debut. Florence Pugh’s performance earned her an EE Rising Star nomination, whilst the film was also nominated for Outstanding British Debut by a British Writer, Director or Producer. In rural England, 1865 Katherine (Florence Pugh) is stifled by her loveless marriage to a bitter man twice her age and his cold and unforgiving family. When she embarks on a passionate affair with a young worker on her husband's estate, a force is unleashed inside her, so powerful that she will stop at nothing to get what she wants. Nominated for Outstanding British Film and Debut. 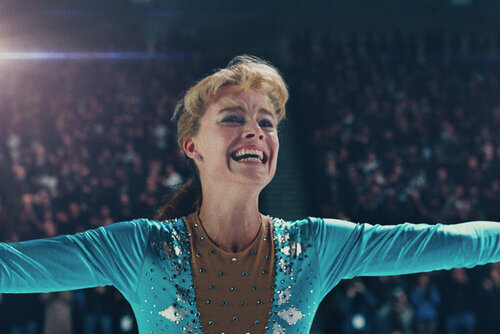 Centred around triumphant performances from BAFTA-winner Allison Janney and nominee Margot Robbie, this darkly comedic tale follows American figure skater Tonya Harding, and her involvement in one of the most sensational scandals in sports history. Though Harding was the first American woman to complete a triple axel in competition, her legacy was forever defined by her association with an infamous attack on fellow Olympic competitor Nancy Kerrigan. Featuring an iconic turn by Margot Robbie as the fiery Harding, a moustachioed Sebastian Stan as her impetuous ex-husband and a tour-de-force performance from Allison Janney as her acid-tongued mother, LaVona Golden, I, Tonya is a piercing portrayal of Harding’s life and career in all of its unchecked - and checkered - glory.